Bumble: Joe Root sees his future at No 4 - so who should bat at No 3 for England? "Back in the day, if you came up against a real good attack, like the West Indies in the 1980s, then you'd play three openers. England could go that way, with Surrey's Rory Burns, a proper solid player." Joe Root's decision to drop himself down to No 4 was a real surprise - but it shows you how determined he is to bat in that spot. He's telling everyone that's his role. It's a switch that will attract India's attention - they'll say he is hiding. Joe, though, obviously feels more comfortable there and that he brings more value to the team from that position. I agree with him - I've always said he should bat at No 4. He batted pretty well, too, and looked content after a sketchy few innings of late. It was only a needless run out that cost him his wicket. It was a bad call from Ben Stokes, who needs to understand that while he is like lightning, Root is a cumbersome runner. There was no need for that risky run with the position they were in. So now England need to find a specialist No 3 - and they haven't got a Jonathan Trott. Moeen Ali has batted most of his career for Worcestershire at No 3, and with great success, but this is Test cricket and I think he looks so vulnerable there. James Vince is a No 3 and in form, Joe Denly is a No 3 and in form. Back in the day, if you came up against a real good attack, like the West Indies in the 1980s, then you'd play three openers. England could go that way, with Surrey's Rory Burns, a proper solid player, the obvious candidate, especially with the final Test being played at The Oval, his home ground. But he is another left-hander and if you pick Burns, Vince or Denly then you are also a bowler short. So the selectors and Root, in particular, will have to come up with a formula that accommodates the attack with him at No 4. I may have my doubts about Ali as a Test No 3 but - and India fans will not like this at all - in England, in these conditions, he is a better bowler than Ravichandran Ashwin. Ashwin is a fabulous bowler, and far better than Ali in India, where he gets about 85 per cent of his wickets. Over there, he uses his strong action to belt the ball into the surface at 55-60mph but in England you have to bowl it slower to get the spin. I would expect Ali to play a huge role for England tomorrow as they hunt victory. I see him operating from one end and Root rotating his quicks from the other. 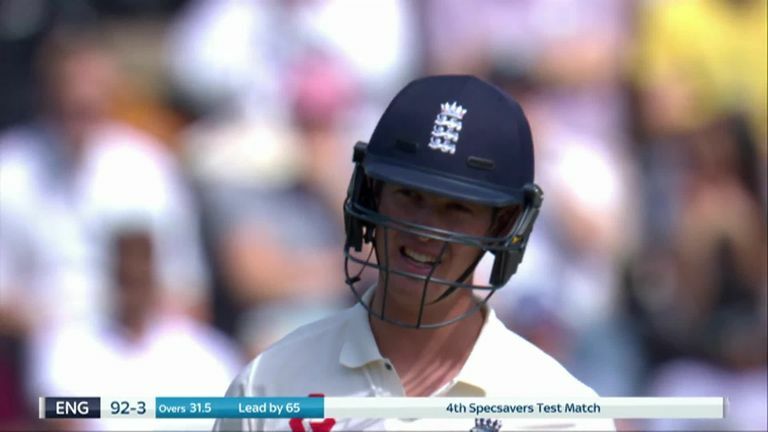 Back to England's batsmen and I thought Keaton Jennings looked calm for his 36. He obviously enjoyed the challenge of batting under pressure and, in my opinion, he got a real unlucky delivery from Mohammed Shami, one which stayed low and went under his bat. Then Jos Buttler and Stokes, as they did at Trent Bridge, built a partnership before Buttler did the same with Sam Curran to put England in a strong position in this game and series. In Test cricket you have to embrace responsibility and not just play daft percentages and leave it to someone else as a good attack will turn one wicket into two. Buttler, Stokes and Curran, who continues to impress, were restrained and wore the opposition bowlers down. 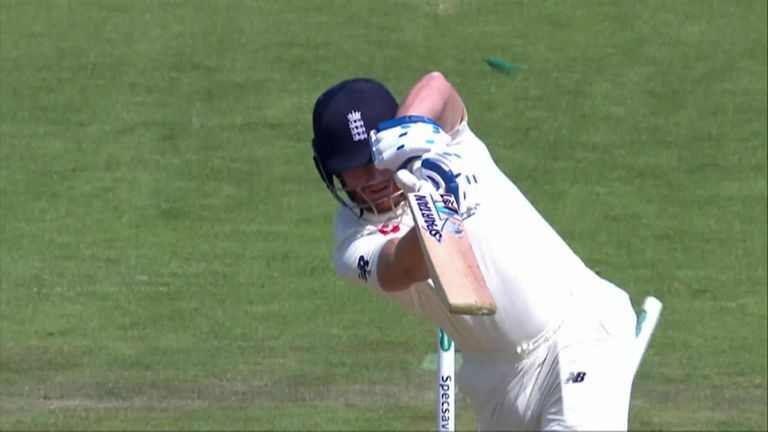 Jonny Bairstow was unable to do that as he went first ball. I think he feels the pressure far more when he doesn't have the gloves and I would have him as wicketkeeper-batsman all day long. I know the main reason for Buttler keeping wicket here is Bairstow's cracked finger but I think England will stick with it now, even when Jonny is fully fit. For me, Buttler can bat higher - the more he plays, the better he'll get - and then Bairstow can bat at No 7. Jonny looks content there. Where did Adam Gilchrist bat? Seven. There you go. It's alright picking the team but make sure you get your order right. 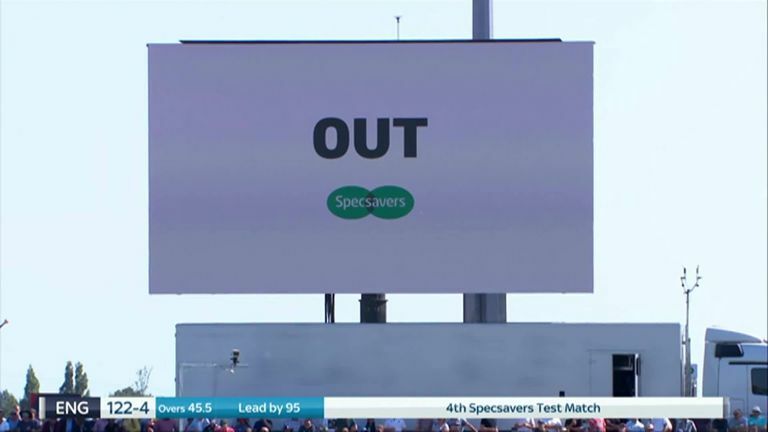 Watch day four of the fourth Test between England and India, at The Ageas Bowl, from 10am on Sunday on Sky Sports Cricket (channel 404) and Sky Sports Main Event (channel 401).